Today I am going to show you how to customized ExtJS combo box to looks like and behave like a auto-complete textfield. 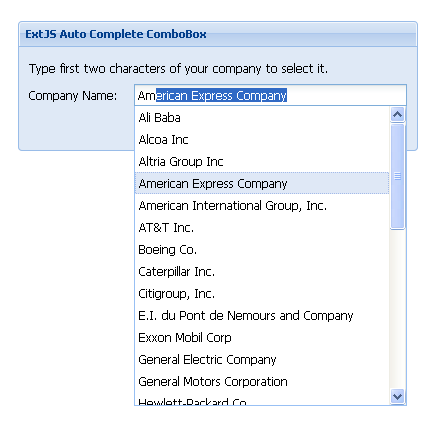 We will use ArrayStore to store the companies name and ids and on entering character in ComboBox will show a list of companies sorted with that character. Enter first two characters of your company and you will see following output.